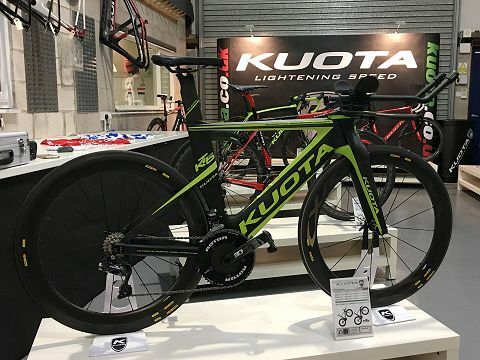 Last week, DHW Agencies, home to many household name brands like Kuota bikes, GSG clothing, Zannata bikes, Powerpod and Spinergy wheels, had three days of welcoming dealers from shops around the UK and Ireland to the warehouse to see the new products for 2019. VeloUK dropped in as well to say hello to the team there and spoke to the head of the company, former British champ Dave Williams. He explained that the three days was their chance to showcase the new bikes or bikes with new colour schemes to the trade. 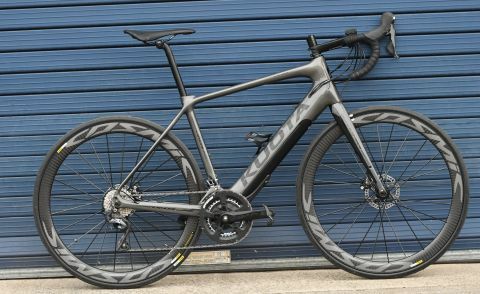 Dave added their least expensive Kuota model in the range, the Kobalt is available in two additional colour schemes and the paint finish has gone from a matt to gloss finish. He then went on to talk about one of two exciting new models in the range. 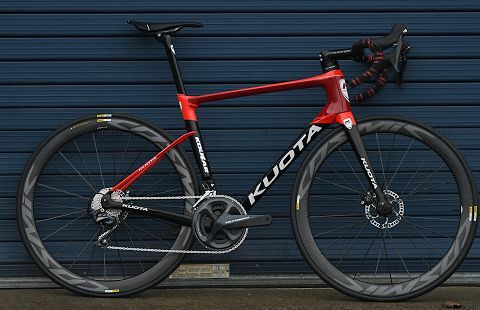 The first is a second generation Kougar frame available in two versions. That bike says Dave was popular with the dealers. The second of the two big announcements was the Kuota e-bike (Kathode). “Our e-bike is a new project in 2018 for us and we’ve had a really good up take from dealers on this bike” Dave says. When the riding gets hard like riding into a headwind or going uphill, the motor in the Kuota ebike has three settings which will give you a percentage of the power you are putting through the pedals depending on the mode selected; 125 to 400 watts of additional support. As Dave, a former professional champion says, having an additional 400 watts up a climb is nice!